Over 90% of all measurement instruments shipped today are smart and need to be configured! If you’re like most people, you spend time and money pulling together everything you need to power a device before you even start to configure or troubleshoot it. STOP IT! 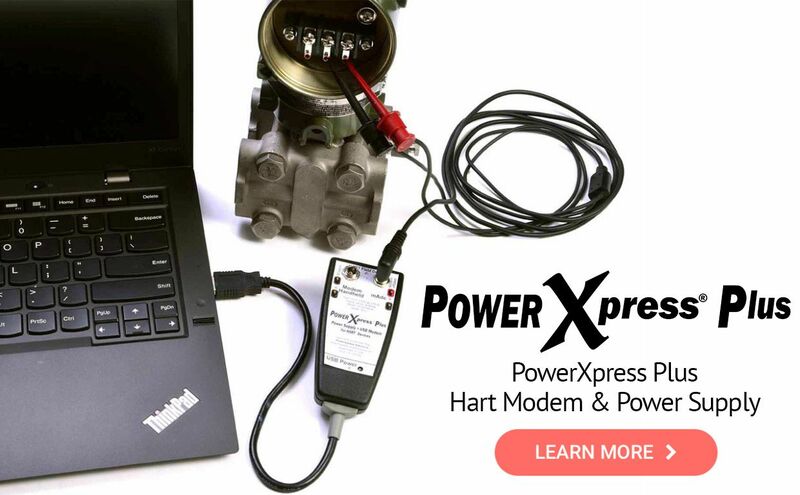 The PowerXpress Plus HART Modem with Power Supply provides the 24VDC and HART Modem you need to quickly and reliably power and communicate to configure your device using only a USB port! We put everything you need into a rugged, easy to use package including the 250 ohm load resistor. Also provided are easy connection points for your DMM and handheld. Start working smarter. 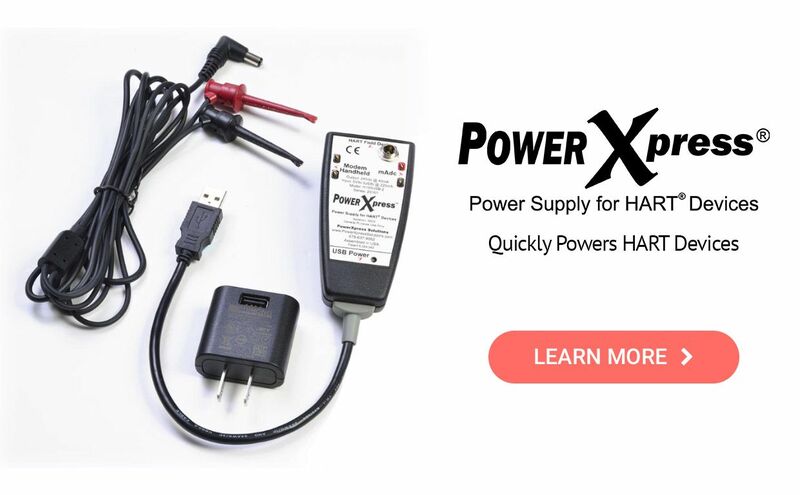 Two available models – Power Supply only model and a Power Supply Plus Built-in HART Modem model. Be sure to see our detailed product information and video below!